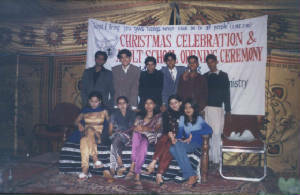 A-Women Ministry: Women make up 52% of the total population of the country (Pakistan). The women are considered inferior to men and they are not encouraged to play their role in preaching. The ministry takes the initiative to utilize women participation and talents so that ministry has more strength to preach. Therefore weekly meetings and seminars are organized to equip women for preaching. B-To Raise the Prayer Warriors Groups: We have one prayer warrior’s group in every house church. They are backbone of our ministry. C-Youth Development Ministry: God said in His Holy Scripture to Youth, Remember Now the Creator in the days of thy youth, it is good for man that he bears the yoke in his youth, (Eccl 12:1,Lamen 3:27). The youth has dynamite power therefore God want to use it for His glory. That’s way we have integrated programmed for youth. 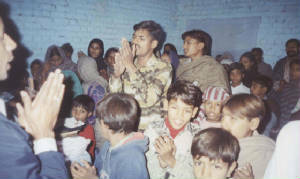 We give financially, moral, and spiritually help to youth, especially poor students, by providing books and School fees. We also give them counseling for getting everlasting new life in Jesus Christ. D-To Make House Churches/Family Ministry: We believe and model that God wants His entire family to be involved in ministry. 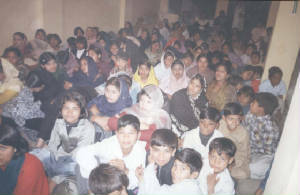 We have near about 600 house churches in Sheikhupura and in other cities and towns in Pakistan. Our vision is to win in Jesus Christ 10, 00,000 houses Churches by His will. We have only 12 Pastor with 7 Lady Workers to whom we are supporting nothing to them. We need more thousands of Pastor and Evangelists and we also need regular monthly support for them. We are praying for more labors and funds. We have faith that God will provide us more labor and funds to fulfill our needs.